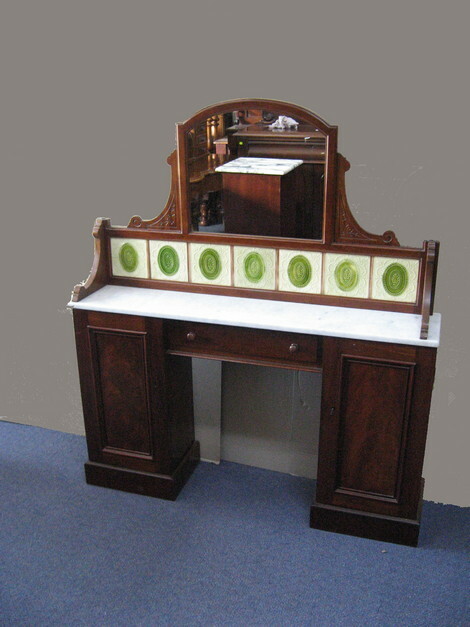 Antique marble top & tiled back hall cabinet circa 1880. Original condition only 25cm deep featuring 2 doors & drawer to base. Copyright © Old Post Office Antiques. Site design by XDS.